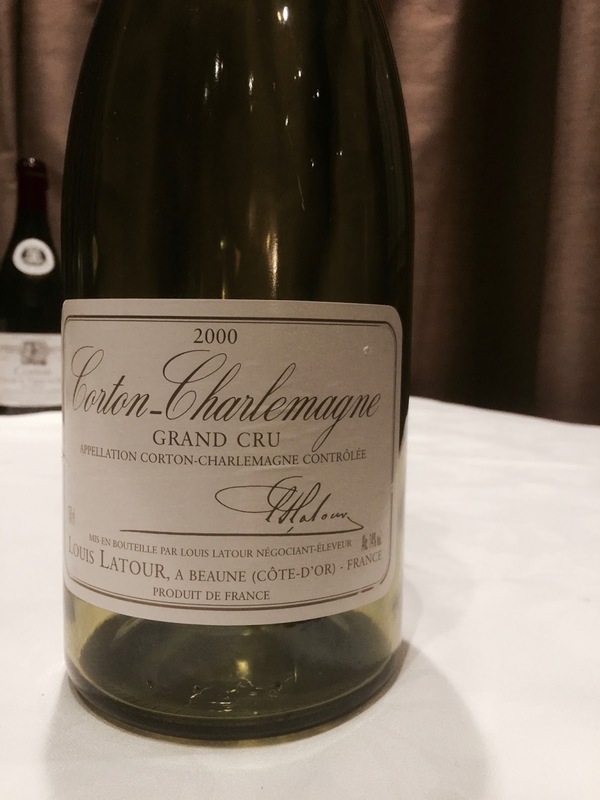 Unfortunately this grand wine, a Corton-Charlemagne Grand Cru from Louis Latour, was out of condition and partly oxidised. That it might be prematurely oxidised came to mind. Clive Coates MW discusses the issue of prematurely oxidised white wines in Burgundy, where it seems to have been a particular problem in the 1996, 1997 and 1998 vintages (see here). This wine however is from the 2000 vintage, and I am not sure at 16 years of age that in fact it could be fairly described as prematurely oxidised. More likely, it may well just be over the hill (although it being a Grand Cru counted against this) or have been stored poorly. I still penned a couple of notes – it has mineral, smoke, cashew, baked apple and herbal aromatics. A tired and flat palate.